"Romelu Lukaku and Paul Pogba drift to this side of the pitch when possible, potentially overwhelming Mustafi with responsibility as Arsenal’s right winger (probably Henrikh Mkhitaryan) fails to track back." Tottenham are struggling to play with tempo or purpose recently and after the heroics of Tuesday night, they will likely be even more sluggish at St. Mary's on Saturday. With their place in the top four under threat, Mauricio Pochettino will no doubt continue to use leggy stars in need of a rest; Christian Eriksen and Son Heung-Min look tired. While Harry Kane has just returned from injury. Both sides will likely field a 3-4-2-1 formation for this one, which simplifies the hosts' task. Going man-to-man as they sit back and await chances to counter, Ralph Hasenhuttl's side should be able to shuffle across and remain compact given Spurs' lack of speed or movement in the final third. James Ward-Prowse is in good form at the moment, with two goals in two, and his ability to break forward alongside Nathan Redmond could overwhelm Harry Winks in the number ten space. Moussa Sissoko has a tendency to drift too far into the channels, leaving a gap in the centre of midfield during games in which the onus is on Spurs to attack. On the one hand, Man City have shown the gritty determination of champions in winning their last two matches 1-0, on the other they have scored two goals in their last 300 minutes of competitive football; this isn't the best time to have lost Kevin de Bruyne to injury. 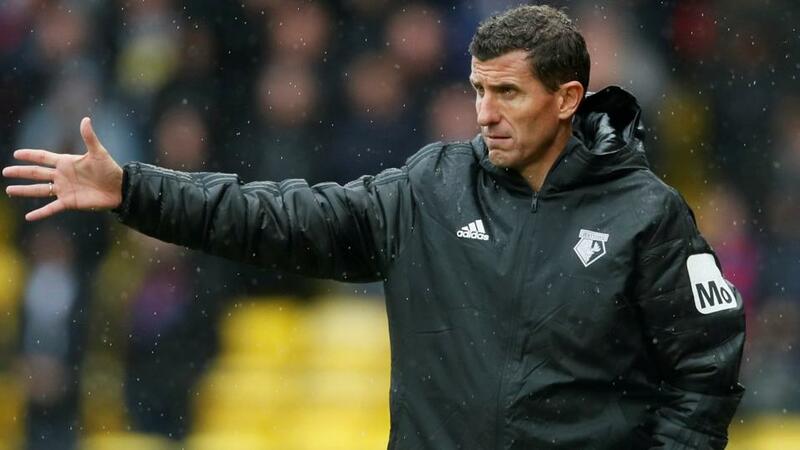 Watford are just the counter-attacking team to do what Bournemouth didn't even attempt - break through the middle and take advantage of the absences of Fernandinho and Aymeric Laporte. Watford's narrow 4-2-2-2 is well-suited to countering through the middle, where City lack pace in the transition (Laporte) or a screening midfielder (Fernandinho). The Troy Deeney-Andre Gray connection that led to Watford's winner against Leicester last weekend is ideal to exploit City's recent limitations, while Roberto Pereyra and Gerard Deulofeu are just the sort of direct dribblers needed to exploit City's high line - as Crystal Palace and Leicester City did in December. City's goalscoring woes should continue. Liverpool only managed to hit five past Watford because of their attacking full-backs (who grabbed all five assists), which capitalised on the absence of cover for Watford's full-backs in the 4-2-2-2. Defending the flanks has been Watford's biggest flaw all season. Unless Man City repeat their tactical trick at Vicarage Road in December - when Bernardo Silva drifted out to join Riyad Mahrez as a second right winger - the league leaders may come unstuck. Liverpool have drawn five of their last seven games, although they have won their last two home league matches by an aggregate score of 8-0 - with their full-backs contributing seven assists in those games against Bournemouth and Watford. Jurgen Klopp's front three isn't clicking at all, and as opponents increasingly drop deep and narrow to limit space the Liverpool full-backs are quickly becoming the most important players in the team. Some of the resilience has returned to Burnley in recent weeks, and so Sean Dyche's team will have no problem sitting in a hunched formation and inviting Liverpool to try to open them up. Burnley have little chance of scoring themselves (they've only beaten Cardiff, Huddersfield, and Brighton on the road this season, while Liverpool have conceded a mere seven goals at Anfield), meaning it will only take one moment of quality for the hosts to keep the pressure on Man City. Burnley are not particularly good at defending the flanks, conceding goals from crosses in five of their last six matches. The only spaces open to Liverpool will be out wide, 35 yards from goal and in front of Burnley's two banks of four; the quality of crossing from Trent Alexander-Arnold and Andrew Robertson will decide the outcome. 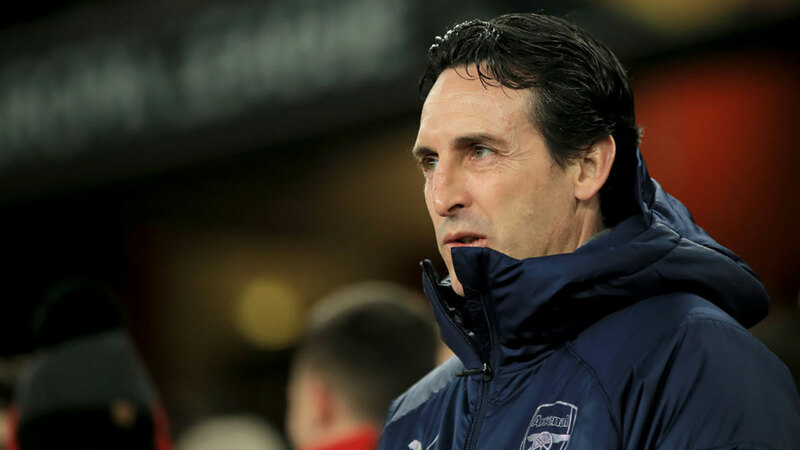 Arsenal so frequently change tactics and formations that it has become almost impossible to predict the patterns of their matches, while Man Utd have regularly switched between attacking and defensive performance against Big Six clubs under Ole Gunnar Solskjaer. This could be a frantic end-to-end game, but it could just as easily be a 0-0 draw. One battle we can predict is on Arsenal's right, where error-prone Shkodran Mustafi is likely to continue at right-back. Spurs struggled to take advantage of this flaw last weekend because Danny Rose was isolated when attacking as a left wing-back, whereas United will naturally flock to this side of the pitch in numbers, exposing Mustafi's tendency to get caught out of position. Luke Shaw is growing in influence, and his overlapping runs can certainly cause problems. Romelu Lukaku and Paul Pogba drift to this side of the pitch when possible, potentially overwhelming Mustafi with responsibility as Arsenal's right winger (probably Henrikh Mkhitaryan) fails to track back. Solskjaer has shown a tendency to do the simple tactical things right since taking charge of United; he will surely instruct his players to target Mustafi's flank.